Visible Banking’s Christophe Langlois was invited by the Asian Banker Summit 2014 team to speak and moderate a few sessions on social media and digital banking innovation. Last year, I had a great time contributing to the prestigious Asian Banker Summit for the first time. I delivered a keynote and joined a couple of panel discussions. If you know me at least a little bit, you’ll already know my passion for public speaking and my love of Asia. 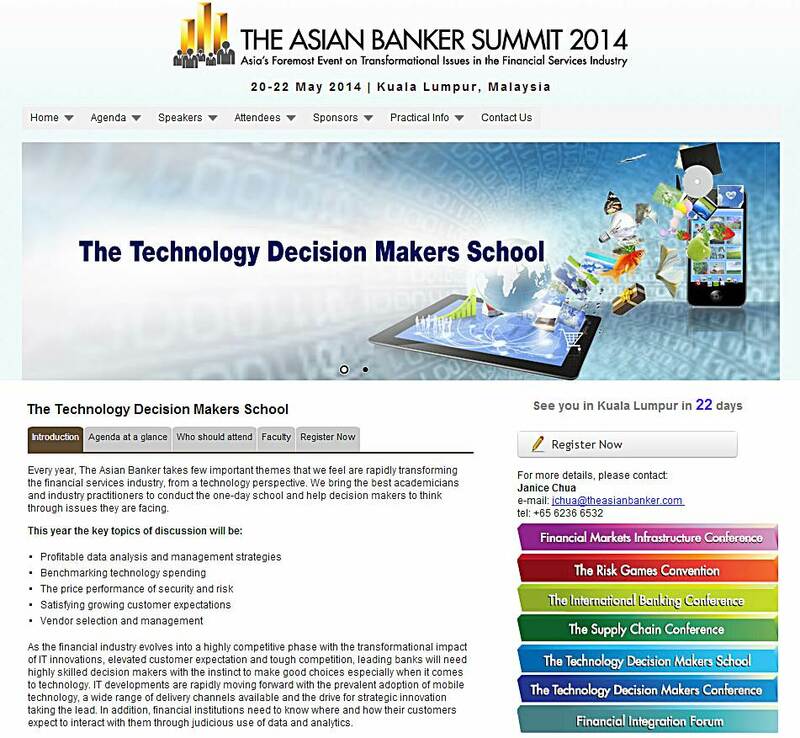 So, you can imagine how thrilled I was when Emmanuel Daniel (@EmmanuelDaniel) and his team invited me to contribute to their Asian Banker Summit 2014. I’ll be as busy as ever during my short stay in Malaysia: not only will I deliver one workshop session, three discussion panels and one keynote, I also plan to cover the event and record several video interview with some of my fellow speakers and my friends from the industry. 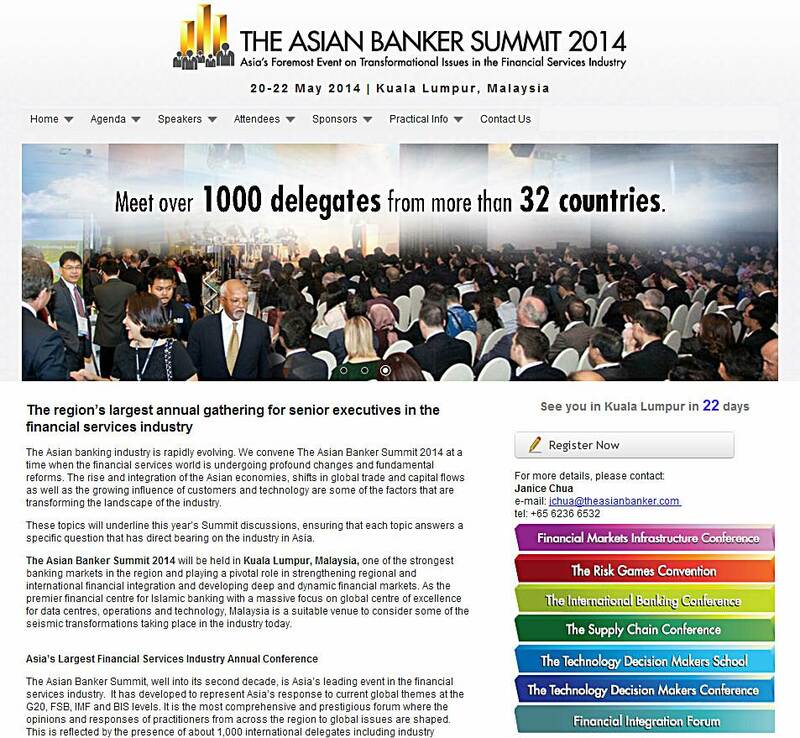 The Asian Banker Summit, well into its second decade, is Asia’s leading event in the financial services industry. It has developed to represent Asia’s response to current global themes at the G20, FSB, IMF and BIS levels. It is the most comprehensive and prestigious forum where the opinions and responses of practitioners from across the region to global issues are shaped. This is reflected by the presence of about 1,000 international delegates including industry specialists, senior bankers, regulators, service providers and decision makers from leading institutions in Asia, the Middle East, South Africa, US, Europe, Latin America. I’ve been invited to contribute to the Technology Decision Makers Conference as a moderator and a keynote speaker. I will deliver a keynote on ‘the impact of social media on the customer experience‘ (day 2, 11am). I’ve been invited to deliver the last session of the Technology Decision Makers School, a dense and highly insightful one-day workshop, ‘App design through open innovation‘. We will discuss a number of crowdsourcing initiatives, mobile banking app stores, innovation contests and hackathon events organized by the likes of Credit Agricole and BBVA. 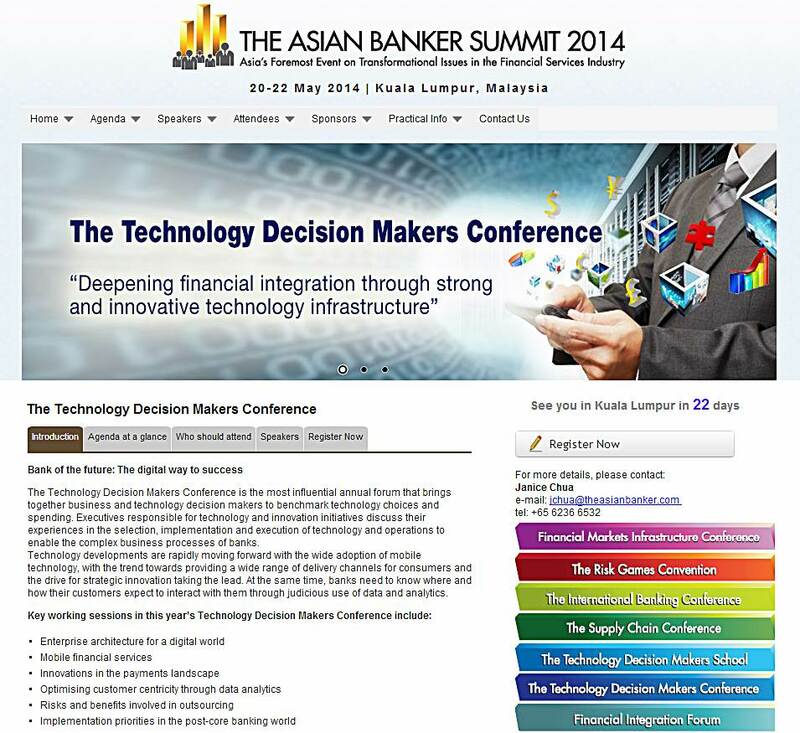 Last but not least, to further demonstrate the strength of our collaboration VisibleBanking.com became an official Media Partner of the Asian Banker Summit 2014. As part of the media partnership, my readers can enjoy a 20% discount by filling in this registration form using the code MPVB_ABS14. I very much look forward to connecting with you at the Asian Banker Summit 2014, in Kuala Lumpur or via twitter, and sharing our views on social media and digital innovation in the banking industry. In the meantime, I invite you to start the conversation on those most transformational topics here, on twitter or on google+.